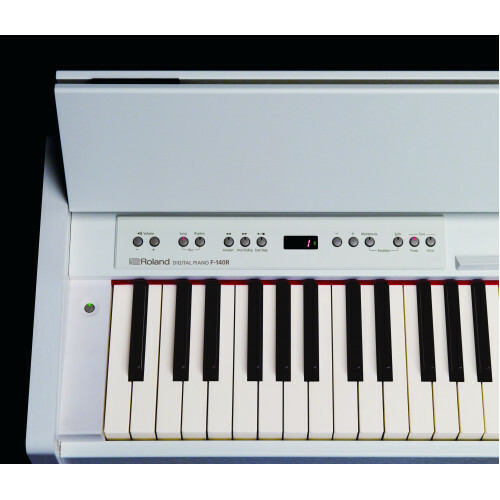 With a contemporary compact design perfect for smaller apartments, it’s also packed with useful technology from Roland, the leader in digital piano innovation. 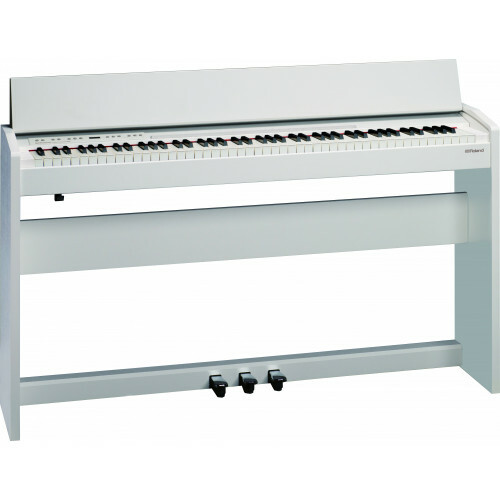 You’ll experience an authentic, expressive piano tone that’s nothing short of remarkable for such a compact and affordable instrument. 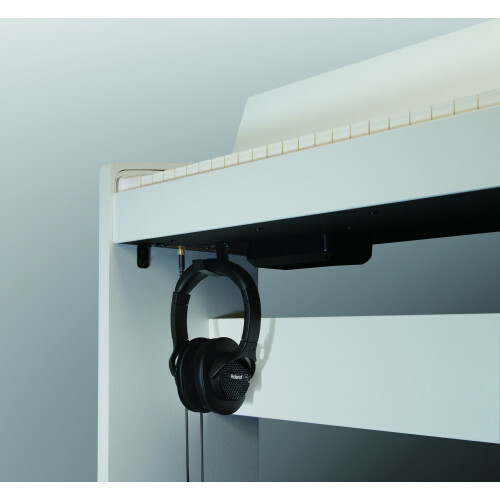 The built-in stereo speakers project rich, full sound, while the Headphones 3D Ambience effect completely immerses you in your performance during private practice. Onboard rhythm accompaniments make playing even more fun, giving you control of a backing band that automatically follows the chords you play. 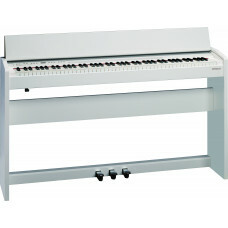 The F-140R can help improve your playing and composition too, with onboard recording, Bluetooth® connectivity for using with music score apps and a USB port for hooking up to a computer.